Roland Chopard is already planing the 2nd US-Model Exhibition with a swap meet in Switzerland for April 2019. 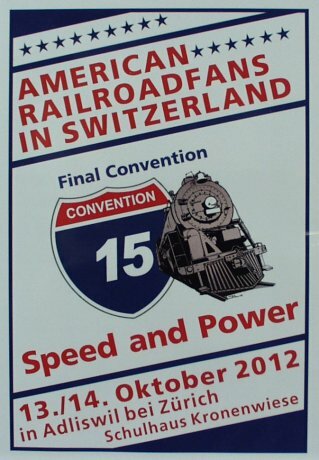 As the 15th and Final Convention of the American Railroadfans in Switzerland was held in October 2012, there was no more US-Exhibition in Switzerland until April 2018. A big thank you goes to Roland Chopard, who re-invented the American Spirit with the 1st CV and he will lounch the 2nd CV in 2019. 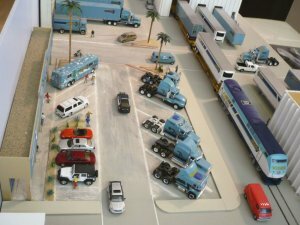 Now, every US-Modeller is having the possibility to display his layout, diorama or model. Breaking News - Dec. 10, 2017: New location for our Meetings starting 2018. 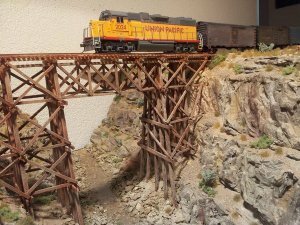 We are a loose group of fans (220 people), mostly of the greater Zürich area, Switzerland and a few from all over Europe, who are interested in the North American Railroad Scene. We are definitely not a club, but a non-profit organization without member ship fees, even we do not have a main sponsor. That way, we would like to reflect "The American Way of Life". We are having our by-monthly Meetings for interested fans (usually middle of the month on a Friday evening starting at 19.15 h at the "Berufsfachschule BBB" at Baden, AG). There are approx. 50-60 people at the meeting place. 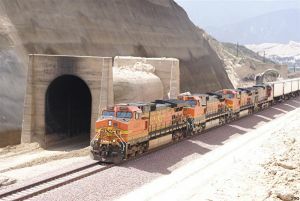 Main attraction is a slide or movie presentation about the US Railroads starting at 20.00 h, held by one of our members. 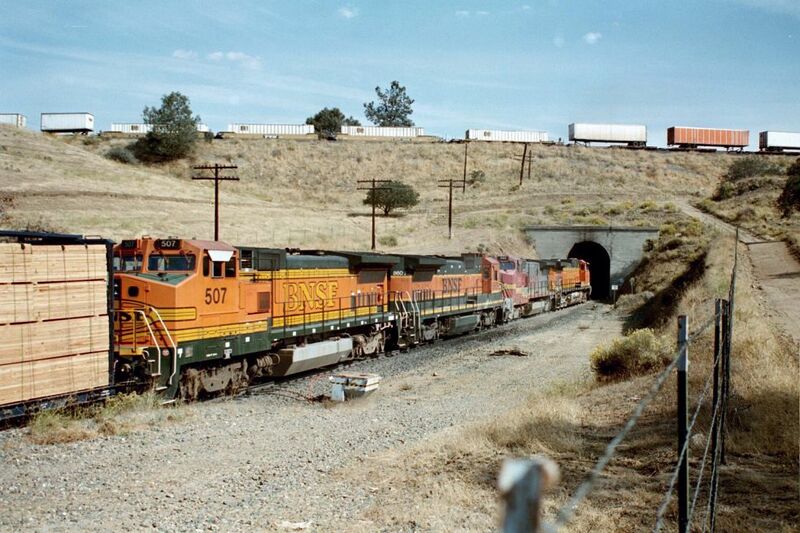 In addition, we are talking about differend themes of American RR's and US travelling (cars, country music etc.). Sometimes, one of our members is bringing along his latest model to show off his modelling skills. 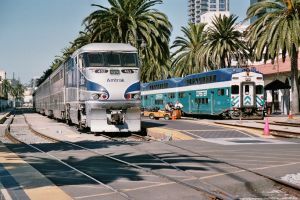 Since 1999 we offer Railfan Trips to the USA in co-operation with Maya Travel Inn. 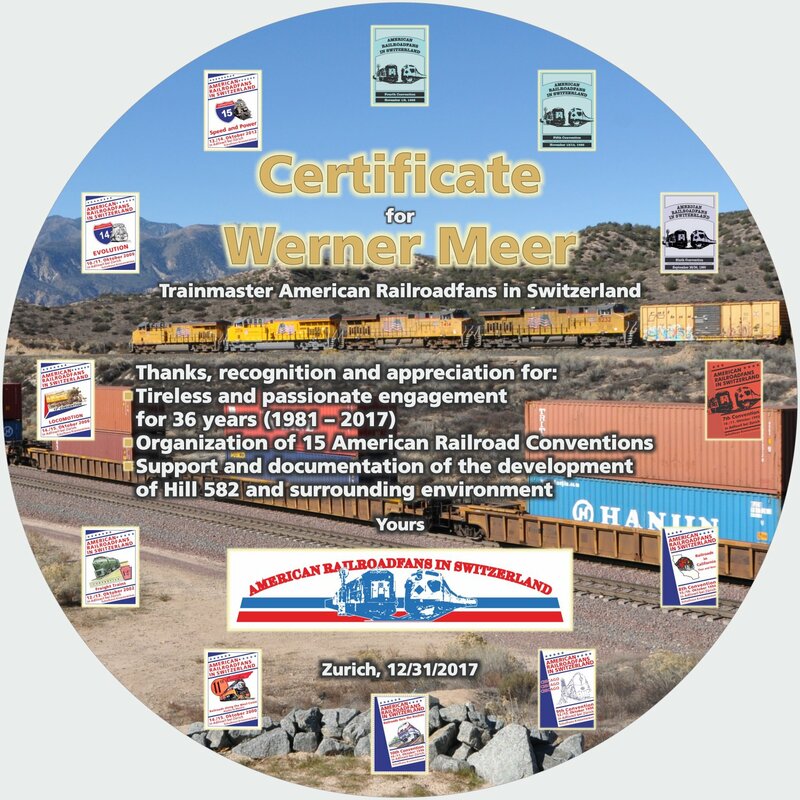 Surprisingly, an award for the many years of work in the U.S. scene was presented to Werner Meer during the 4th CV in Rodgau near Frankfurt, from NMRA (Nobby Clarke). The 15th Convention Guide (printed version) is still available. Werner Meer is retiring as chairman of the American Railroadfans. This special Cerificate is setting the final point of his activities as per December 31, 2017. Please note: Not all pages are translated into English ! ! Offiicial CV-Film on DVD by Thomas Egger von EGGER FILM. Running time: 122 Min. Price: sFr. 30.-. There was no more space for the CV-Dinner on this DVD. Therefore, the 30 Min. CV-Dinner (Speeches, Special Awards, Showblock with Roger and the Wild Horses) can be seen on Youtube. In the past, every 2 years in Fall, we were organizing a 2-day event (Convention for American Railroadfans in Switzerland) at Adliswil (suburb of Zürich). 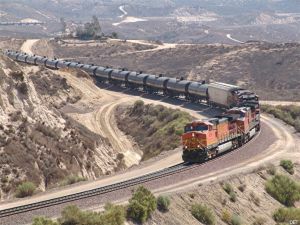 We were inspired thru the NMRA Conventions held in the USA. Our first convention was back in 1981 inside the facilities of Swissphone Telecom. Also the 2nd CV was held there in 1982. Afterwards, we changed the rhythem of our event to be held every other year. Therefore, the 3rd to the 6th CV were held between 1984 and 1990 at the Zürich Water Supply facilities in Zürich downtown. Since the 7th CV in 1992, we are able to use the school house complex "Kronenwiese" at Adliswil. In 1998 we were celebrating the 10th Jubilee Convention with more than 3000 visitors. 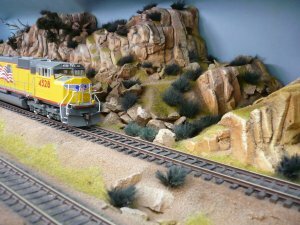 For this special event, Daniel Wehrli built a real size (sacle 1:1) Cupola Caboose. No question, it was the attraction of the 10th CV and it was also used as our Ticket-Office. The 11th CV held in Fall 2000 was with 4000 visitors an all time high record. To satisfy the high amount of attendies, we were in need of a second ticket office. In addition to our Caboose we got the front end of a Santa Fe SD75M Diesel Loco (made by railfans in Schlanders, Italy, once again made out of wood - Hollywood style). The 12th Convention of October 12/13, 2002 was a big success. 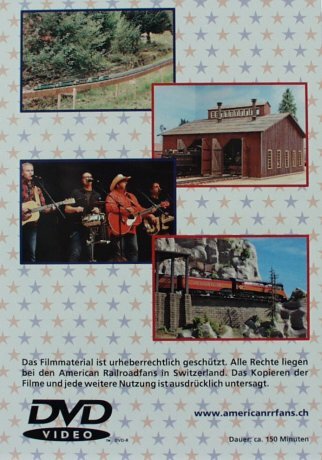 Even the German TV "SWR-Eisenbahnromantik-Team" with Hagen von Ortloff produced a 25' show. 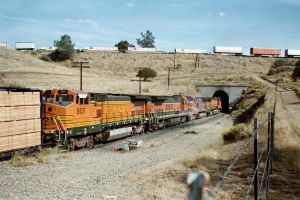 It was proadcasted as series # 471 on November 24, 2002. Because of the rebuilding of the "our" school house, there was no Convention for 4 years (between 2002 and 2006). But the 13th Convention (Locomotion) of October 14/15, 2006 was once again a great success. For the second time, the SWR Eisenbahn-Romantik-Team with Hagen von Ortloff and Susanne Mayer-Hagmann made a TV report about the 13th CV. Special Guest at the 13th CV: Brian Marsh, Overland Models / Tower 55 Products, USA. We are very pround to have the biggest importer and producer of brass models from the USA at our Convention. After the 13th CV we decided to change our bi yearly rhythem to 3 years. Therefore, the 14th CV (Evolution) was held on October 10/11, 2009. Special Guest at the 14th CV: George W. Kohs, Kohs & Company, USA. We are glad to present this premium brass producer during our 14th CV..
Special Guest at the 14th CV: Mike Wolf, M.T.H. Electric Trains, USA. Wir We are glad to present this producer of HO, O and 1/32 models in plastic and metal during our 14th CV. 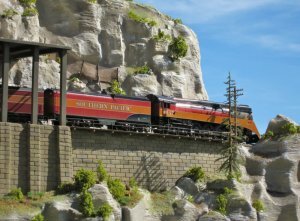 Mike Wolf presented the first hand sample of the SBB Cargo Re 482 in O scale. he even announced the next Swiss model, the legendary "Krokodil" electric loco. These 2 Publications (below) are only available in German language. Jetzt bei uns für nur sFr. 5.- erhältlich. 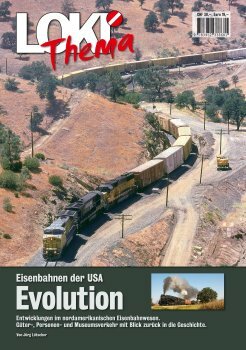 Zeitgleich mit dem 31-jährigen Schaffen der American Railroadfans und der 15th and Final Convention wird LOKI Thema 2 erscheinen. 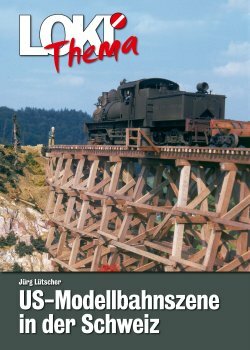 Das Heft wird sich mit fundierten Informationen und hervorragendem Bildmaterial der Schweizer US-Szene widmen, welche sich auf verschiedenste Weise mit Vorbildern und Modellen amerikanischer Bahnen befasst. Diese Publikation aus dem Verlag Lokpress AG entsteht in Zusammenarbeit von Jürg Lütscher (Autor), der Redaktion LOKI (Bruno Kalberer) und Mags and More GmbH (Dani Hunziker). Exklusiv bei uns für nur sFr. 5.- erhältlich.